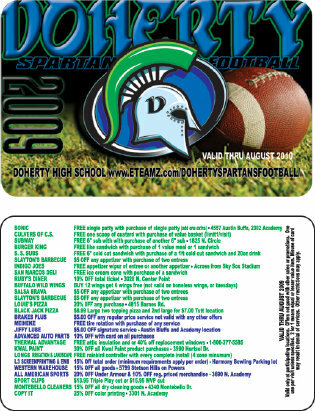 You can increase your fund raising by having L3 ScreenPrinting create your discount card for your school. You find the sponsors, we put the artwork together and you have more profit for your program. Since we have offered this service each program has kept approximately 92% of the revenue from the card sales. Although this will vary depending on the number of cards sold. 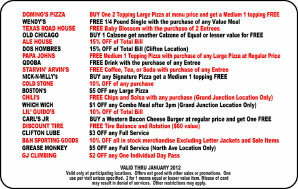 A large increase from traditional discount card programs. 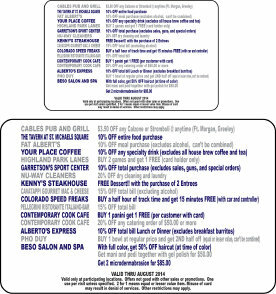 Click on the Central Card back to see examples of deals.